Energy Bite | Episode 141: Is the environmental effect of renewables the same everywhere? Episode 141: Is the environmental effect of renewables the same everywhere? Are renewable energy sources always good, or are there areas where they have less positive impact on the environment? Inês Azevedo, associate professor at the Department of Engineering and Public Policy and co-Director for the Climate and Energy Decision Making (CEDM) Center at Carnegie Mellon University explains where renewables have the most impact. HOST: Have you ever wondered about the environmental impact of renewables? 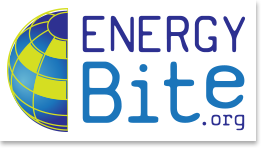 On this week’s Energy Bite, Inês Azevedo, a professor at Carnegie Mellon University, has some answers. AZEVEDO: Let me begin by asking you a question: Do you think we are better off installing the next solar panel in California or in Pennsylvania? MODERATOR: Umm… California- because there is more sun? AZEVEDO: Well, that answer depends on our goal. If our goal is to produce more electricity per panel, you would be right that installing that solar panel in California would be better. But, if our goal is to produce less air pollution or greenhouse gas emissions, then we would be better installing that solar panel in Pennsylvania. The reason is simple: despite the poor solar resource, you would mainly be displacing coal which results in more air pollution and greenhouse gas emissions than solar power. At Carnegie Mellon, we have conducted this analysis throughout the United States, and found surprising results if our goal is emission reduction. MODERATOR: If you were a policymaker, would you encourage solar panels in California or Pennsylvania? Take our poll, see the results, and ask your energy questions at Energy Bite dot org. ← Episode 140: Do rebates for energy efficient appliances work?